Throw Out the Baby. Keep the Bathwater. The water situation in California is not good and shows no signs of improving any time soon. In fact, the entire state is now in the most severe stage of drought, according to a report by the U.S. Drought Monitor. Across the state, local communities are grappling with the urgent need to find new water supplies—and considering everything from desalinating ocean water to recycling wastewater. There are no quick or easy fixes—but what kind of strategies have worked in other desperately dry places? In advance of the Zócalo/Occidental College event, “Should Our Drinking Water Come from the Ocean or the Toilet?”, we asked water experts: What is one policy—in the U.S. or abroad—that has proven effective in helping a city, state, or country survive a water shortage and ensure sufficient clean drinking water? Throughout history, the amount of water available to a city has been limited by the availability of local sources of water and the city’s ability to build imported water systems. In times of drought, cities have turned to water rationing, expanding their imported water systems and expropriating water from farmers. But all of that is changing. In Perth, Australia and Tel Aviv, Israel, the ocean now serves as the main source of drinking water. In Singapore, Orange County, California, and Odessa, Texas, municipal wastewater is being turned into drinking water. This revolution has been made possible largely by a single invention—the reverse osmosis membrane, a thin sheet of plastic that can be used to separate salts, organic chemicals, and microbes from water. We can trace the history of this technology back to the Kennedy administration when, at the height of its involvement in water research, the federal government supported around $150 million per year in research on desalination. Through this investment, a pair of UCLA graduate students discovered a way improve reverse osmosis membranes. After five decades of research and development, this government-sponsored innovation is responsible for ensuring the survival of the world’s water-stressed cities. The federal government’s current annual investment in water technology is less than a tenth of what it was in the 1960s (accounting for inflation). With predictions of climate-change induced droughts, growing populations and a desire to curtail the damage to aquatic ecosystems caused by imported water projects, we will need less expensive forms of water treatment as well as new technologies that protect us from the contaminants that sometimes pass through reverse osmosis membranes. While it would be nice if these technologies were to come from the private sector, our history illustrates that we need government policies to kick-start innovative water technologies if we want to avoid future water shortages. David Sedlak is the Malozemoff professor at UC Berkeley, co-director of the Berkeley Water Center and author of Water 4.0: The Past, Present and Future of the World's Most Vital Resource. If I could wave a magic wand and require major water utilities to put in place a single new policy, it would be to reuse the water they’ve already got. Clean your wastewater until it is safe, then use it again. A reuse water purification system dramatically extends an existing water supply and creates a vital second source of water for cities. In times of drought and scarcity, reuse provides an emergency cushion. It takes pressure off existing water supplies, and can even enable them to rebound from over-use. A reuse system is both a “fresh” source of water, and an insurance policy in case something taints the primary water supply. We saw just this year what happens when a major city ends up with its only water supply polluted. 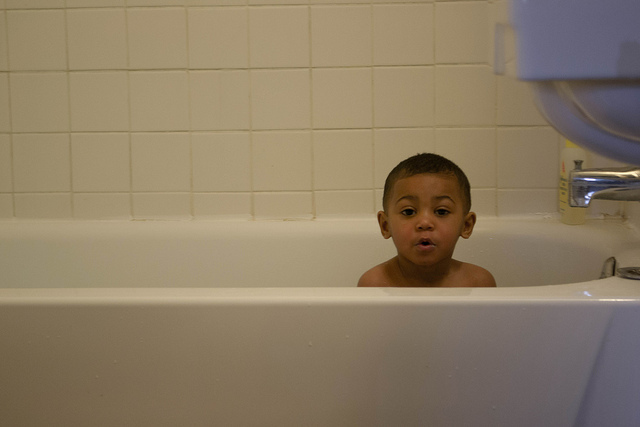 If Charleston, West Virginia had a potable reuse purification plant, the city could have continued to supply water to its residents—at least enough to keep babies bathed and the economy going. Potable reuse systems are a little more expensive than systems that provide water just for outdoor and commercial purposes, but they provide much more flexibility. Still, as many places have discovered—from Orange County, Florida to San Antonio, Texas—even non-potable reuse systems provide huge benefits for communities, in part by teaching people that we don’t need to use drinking water to irrigate lawns and outdoor landscaping. Non-potable reuse takes pressure off potable water supplies, which are more expensive, but also more essential. Using water once and “throwing it away” is wasteful, expensive, and silly. Many cities in the world already drink someone else’s wastewater—the reuse is just camouflaged by a river or a lake. Water can be cleaned and reused—and it should be. Reuse. That’s my one policy recommendation. Charles Fishman (cnfish@mindspring.com) is a journalist and the author of The Big Thirst: The Secret Life & Turbulent Future of Water, now the best-selling book about water in 25 years. In the face of global droughts and water supply shortages, water recycling has the potential to help us to become more climate-independent. But the reuse of so-called “wastewater” accounts for less than 10 percent of our water supply portfolio in the U.S for two key reasons. First, recycled water is still characterized as a waste product. In the United States, domestic wastewater is regulated and managed as a waste stream. These policies were put in place when water was abundant and before treatment technologies were well developed. Today’s technology allows us to treat water to a level that allows for its reuse for virtually any purpose. California recently enacted legislation that reclassifies recycled water as a water resource. Other jurisdictions should follow this critical example to help secure water supplies for drinking, food supply, industry, and maintaining the environment. Water that has been used only once is not wastewater—it is wasted water. The other challenge to reuse is that most people don’t understand the true importance of water in their lives. Americans have embraced “sustainability” in so many aspects of modern life (recycling solid waste, for example) but not when it comes to water resources. Preliminary efforts to conserve water have helped (low-flow toilets and showers, for example) but, so far, nothing indicates that the public consciously or deliberately conserves water in any significant measure. There is a need for better public education about how water reuse technology protects water resources and creates absolutely safe drinking water. The same water that exists on the planet today is the same water that has always existed. That means all water is recycled by nature or technology. It is not the history, but the quality, of the water that is important. We need to maximize our water supply integration and diversification to use properly treated water, no matter its origin, for specific needs. It is no longer acceptable to use water just once and then dispose of it. Melissa Meeker is executive director of the WateReuse Association and Research Foundation. With more than 20 years’ experience in both the public and private sectors, Meeker is a seasoned water executive with a range of expertise that includes regulatory issues, policy development, and executive management. *Photo courtesy of Eden Richardson.